Patients have the right to be treated courteously. Patients have the right to absolute confidentiality. Patients have the right to see a doctor or nurse of their choice. Please ask the receptionist. If you feel an urgent appointment is required please ask to discuss this with the doctor. Patients have a right to information about their own health, particular illness, treatments and the likely outcome of the illness. Patients will be advised on Health Promotion activities and given advice on avoiding illness and also self-help in the case of minor ailments. 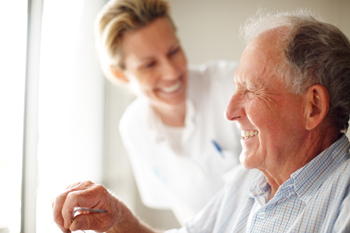 Patients have the right to information about their records subject to any limitations in law. Patients will be referred to an appropriate consultant when a doctor considers this necessary. Please advise us if you change your address or telephone number, it is important for us to have up to date records. Please attend appointments on time, or cancel if you cannot attend, as other patients could be offered these appointments. The Practice will not tolerate physical or verbal abuse from Patients and have the right to remove such patients from the Practice. Please be courteous to staff at all times as they are working on the instructions of the doctors. Please attend appointments on time so as not to inconvenience other patients or the doctors. Please cancel appointments in plenty of time so that it can be offered to someone else and the doctors time is not wasted. Please note—an appointment is for one patient only. Please request home visits before 10.30 am, if possible, to Enable the doctors to plan their time between surgeries. Minor ailments can be dealt with by a pharmacist at your local chemist. The Out of Hours service is available for out of hours emergencies only, please ring the surgery and you will be automatically transferred to the Out of Hours provider. The service is always under extreme pressure and is very costly, therefore, if you can wait until the following day to be seen at surgery it will be greatly appreciated.